Central Asia defies definition. The very name suggests an intermediate position, something in between. And to pin down what exactly we mean when we say “Central Asia” is, indeed, hard to do. The simplest definition, and the one that's conventionally used, is that it's the five ex-Soviet republics of Kazakhstan, Kyrgyzstan, Tajikistan, Turkmenistan, and Uzbekistan. The roughly 60 million people of Central Asia are predominately Muslim, speak mostly Turkic languages, and share a historical heritage that mixes Persian, Mongol, and Russian influences. But whenever you try to pin down what is unique about those five Central Asian countries, they resist categorization and definition. Large numbers of Central Asians were, until the Soviet period, nomads, while others built some of the greatest cities of the Islamic Golden Age. To the north, the Kazakh steppe blends seamlessly into Siberia. To the south there are Uzbeks, Tajiks, and Turkmens living just across the border in Afghanistan. To the southeast there are huge mountains separating Central Asia from China, but on the Chinese side of the mountains are Uighur peoples with a history, language, and culture closely connected with those of Central Asia. Historically, too, in the relatively rare cases when it comes to the attention of the rest of the world, Central Asia has been known mostly for its position in between. In the Middle Ages it was the site of the Silk Road, the web of transit routes by which Europe and the Middle East traded with China. In the 19th century, it was the site of the “Great Game,” the struggle for influence in the peripheral zone between the Russian and British Empires. But rarely has Central Asia been seen for what it is, rather than what it's in between. The Soviet Union, in a way, created Central Asia. It was the Soviets who drew the boundaries that exist today and divided up the people there into rigid ethnic groups: Before the Soviet era, someone in this region would have been more likely to call himself a Muslim or a Bukharin as a Kazakh or Uzbek. But today, those Soviet-created boundaries are more and more fortified and impermeable, and those ethnic categories that undergird the identities of the new states. And it is the Soviet legacy that, more than anything, differentiates Central Asia from the surrounding areas. Since the 1930s the southern border of the USSR was virtually closed, and relatives on the other side of the border lost touch with one another. Now Central Asians who go to Afghanistan or China to visit those long-lost family members find that, after so many decades under such a different system, their relatives are now foreign to them. But as strong as the Soviet legacy is, 1991 continues to recede farther and farther into the distance. Central Asia is in the process of formation, of reinventing itself. Central Asians still speak Russian, but less and less as they revive their indigenous languages and more and more learn English or Chinese. They remain largely secular, a legacy of official Soviet atheism, but more and more are practicing Islam. 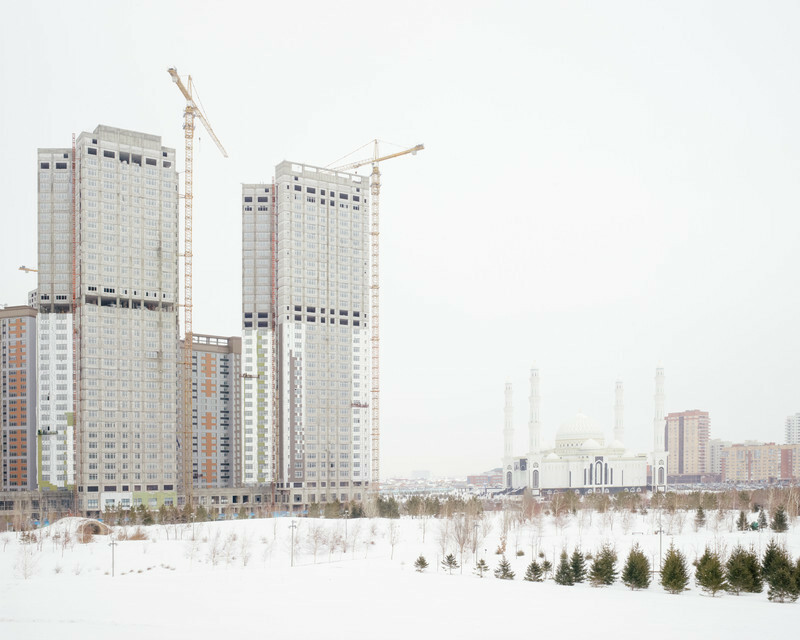 The Soviet architectural legacy of concrete public housing remains, but the new cities are taking their design cues from Dubai, Shanghai, and Kuala Lumpur. And while they still have much in common, the five Central Asian states are forging increasingly divergent paths. 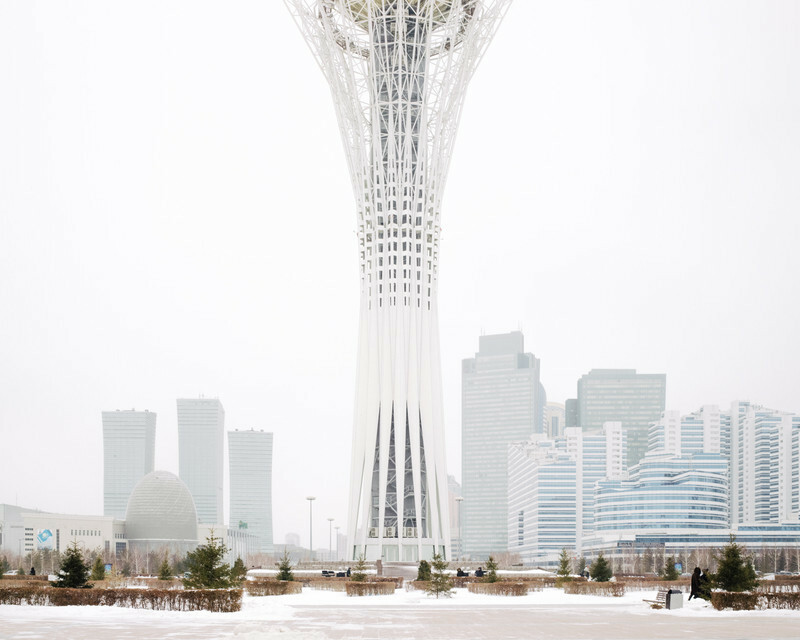 Kazakhstan has used its oil and natural gas wealth to build a futuristic new capital city, part of an ambitious effort to position itself as a world player “at the heart of Eurasia,” as government PR likes to say. Uzbekistan, with half Central Asia's population and the economic hub of Soviet Central Asia, was positioned to be the regional leader but a repressive, isolationist government has instead closed it off from its neighbors and from the world. Turkmenistan, even more isolationist and even more repressive, has built bizarre cults of personality to two successive presidents. (One manifestation of this isolation: it tightly restricts access to media, and so it wasn't possible to visit for this project.) Tajikistan, the poorest republic of the Soviet Union, suffered from a civil war in the 1990s and now a kleptocratic government, and has seen its villages empty out as migrants flock to Russia to find work. And Kyrgyzstan, the only one of the five to have any claim to democracy, has seen a rise in aggressive nationalism and intolerance. So describing what Central Asia is today isn't easy, and that's one of the reasons the region is so fascinating. Here we see Central Asia as it navigates this transitional, formative period, between the Soviet legacy and its still-undetermined future.